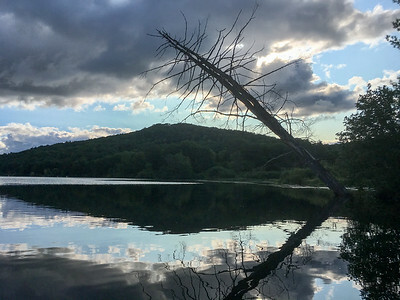 Today I decided to attempt a climb from the lowest point in Lyme (Connecticut River at the Hanover border) to the highest point (Smarts Mountain). 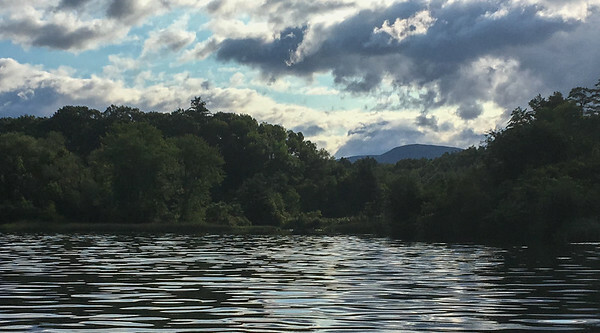 Here are a few photos from the journey; read the blog for the full story: davidkotz.org/2017/08/07/clyming-lyme/. 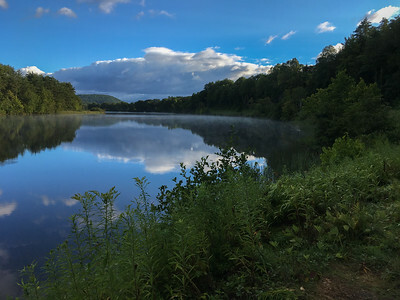 A view of the Connecticut River from the Hanover-Lyme boundary. 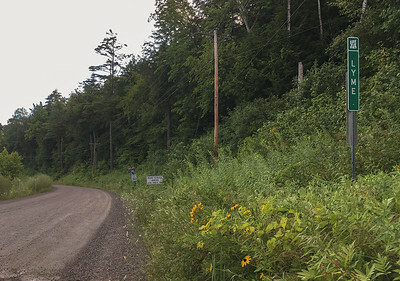 River road, where it enters Lyme from Hanover. 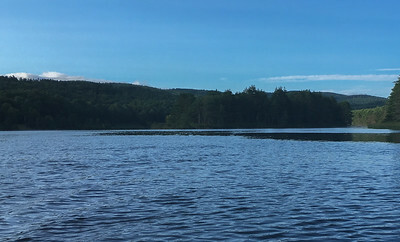 Grant's island, in the middle of the Connecticut River at the Lyme-Hanover boundary. 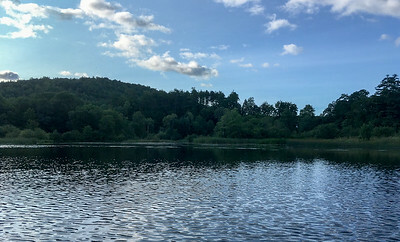 A small island near the mouth of Hewes Brook. 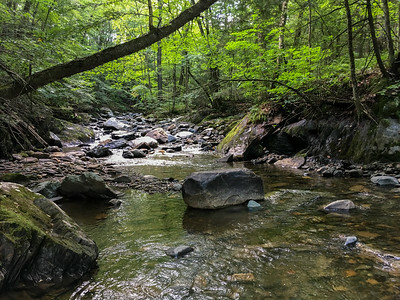 The mouth of Hewes Brook, where it joins the Connecticut River. 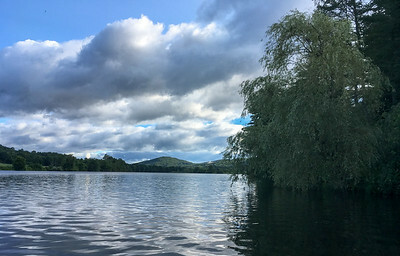 A view up the Connecticut River in Lyme. 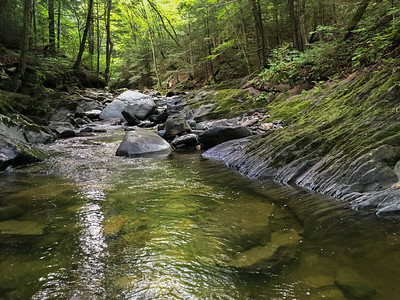 The mouth of Grant Brook, with its source, Smarts Mountain, in view at rear. 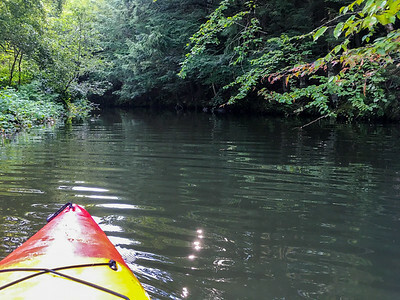 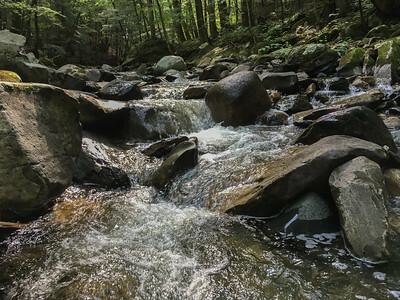 Grant brook is navigable pretty far, at least by kayak. 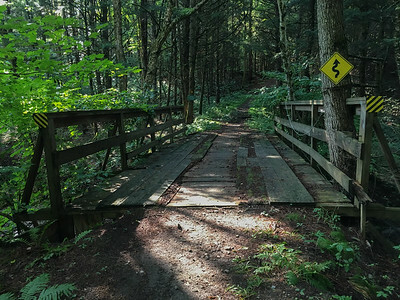 The first bridge over Grant Brook is part of the Lyme Hill trail network. 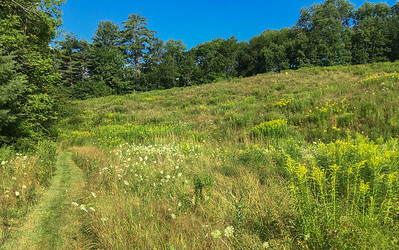 The Grant Brook trail passes through a farmer's meadow. 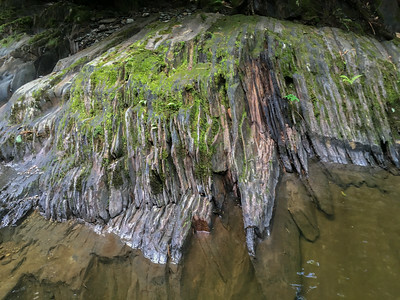 Uplifted bedrock forms prominent features in the lower section of Grant Brook. 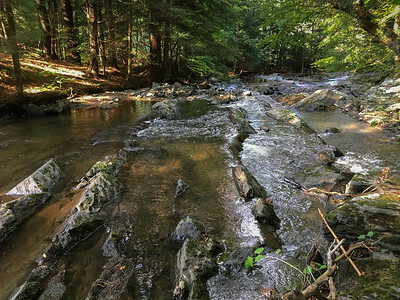 Grant Brook meanders through the farmer's fields. 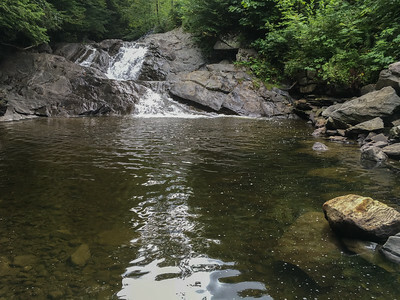 A pretty waterfall forms a nice swimming hole, just below Route 10. 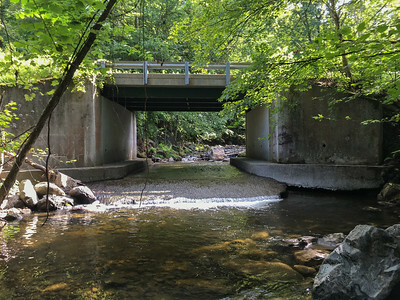 Grant Brook flows under Route 10. 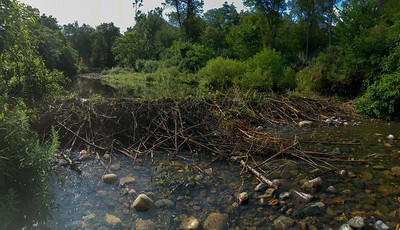 A beaver built a dam across Grant Brook, a short ways above Route 10. 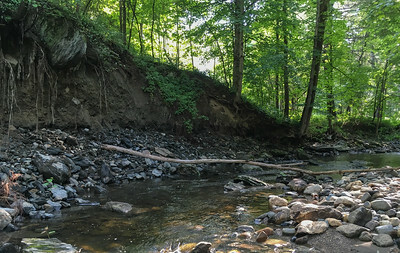 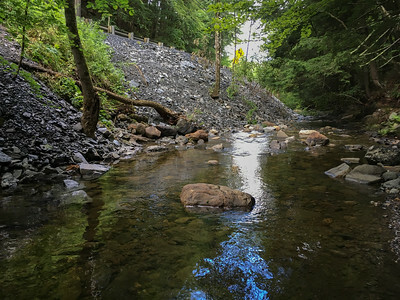 Bank erosion will soon loosen a big rock to fall into Grant Brook. 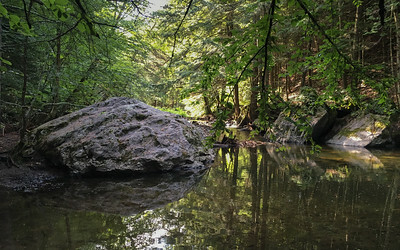 A big rock on the Big Rock trail section of Grant Brook. 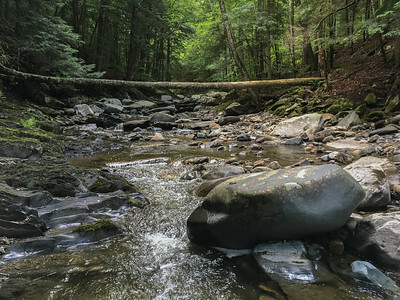 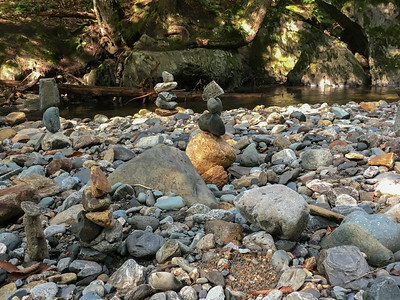 Hikers have balanced rocks near Big Rock on the Grant Brook trail. 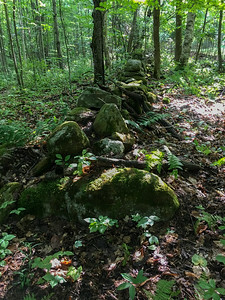 An ancient stone wall marks a line through the woods near Grant Brook. 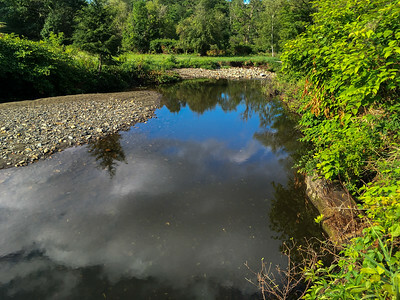 Grant Brook flows under Market Street. 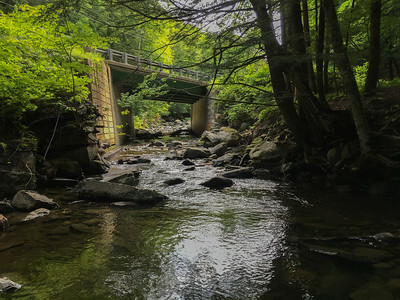 Grant Brook is very pretty above Market Street. 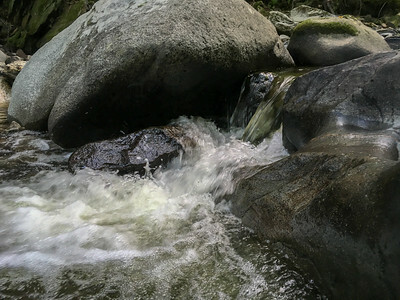 Grant Brook passes over some uplifted sedementary rock. 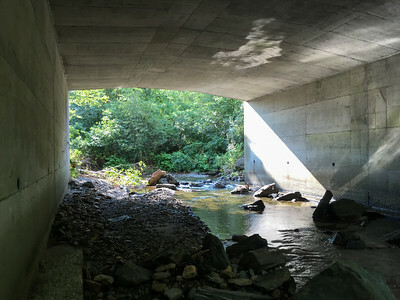 Grant Brook passes under Dorchester road. 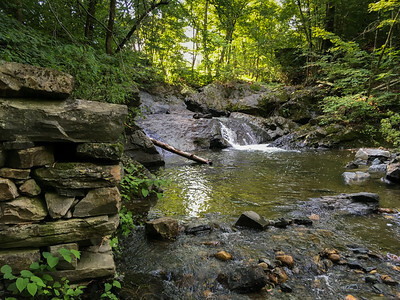 A well-known cascade on Grant Brook - Tannery Falls. 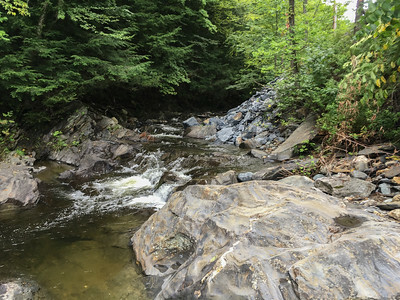 A pretty cascade next to one of several sites where Dorchester road has been repaired after the July 1st storm. 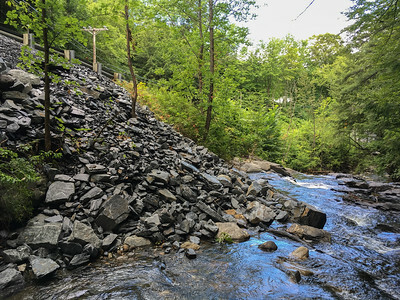 One of several sites where Dorchester road has been repaired after the July 1st storm.